19:31 Therefore, because it was the Preparation Day, that the bodies should not remain on the cross on the Sabbath (for that Sabbath was a high day), the Jews asked Pilate that their legs might be broken, and that they might be taken away. 32 Then the soldiers came and broke the legs of the first and of the other who was crucified with Him. 33 But when they came to Jesus and saw that He was already dead, they did not break His legs. Dying by crucifixion was designed to be slow and torturous. Death took days. For those of you who watched Mel Gibson's 'The Passion of the Christ' you know how much emphasis was placed on the physical torture of Jesus. However when reading the account and considering the facts we know about crucifixion Jesus died way too soon. Not only did He die quickly but He died fully alert. Neither of these things are consistent with death by crucifixion. So what happened? We know from the other gospels that Jesus died at 3 pm. Sabbath hours were fast approaching and the Jews would not permit anyone to be on a cross over the Sabbath hours. This would mean they had to be taken down before the setting of the sun. That was coming fast and so almost before they were put on the cross they were being prepped to be taken down again. Preparation meant breaking their legs, partly as further torture and partly so they had no chance of escaping once taken down. We must remember that most crucifixion victims were political insurrectionists and the possibility of a rescue attempt by their followers was always a possibility. When they came to break Jesus' legs He was already dead. Some will argue He died faster because He was beaten more severely. This is highly unlikely for two reasons. The first is that the Romans were not known for mercy so the other two would have been beaten also. When you consider the fact Pilate didn't want to kill Jesus anyway, it's even more unlikely Jesus was beaten more severely. The second reason it's unlikely that Jesus died so quickly from physical injury is that as we already said, He was fully aware right until the end. 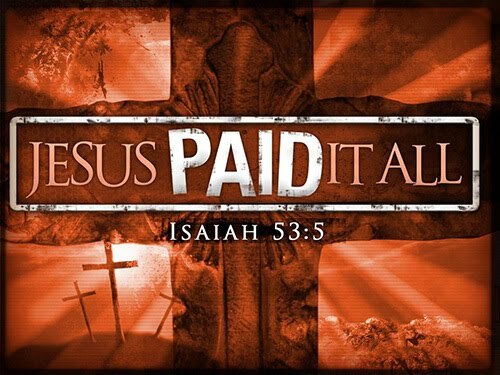 Also consider this: He declared "It is finished" and the He died. Also consider the fact He has previously declared "I have the power to lay my life down and I have the power to raise it up again". The truth is no one killed Jesus. He was the Lamb slain from the foundation of the world. He came to die. He gave His life a ransom for many and when the mission was complete He died on His own terms. In every detail large and small Jesus is the One and He died for us of His own choosing. Anyone can be killed but few demonstrate love by giving their life. Only One gave His life for His enemies. John Day 223 - Finished? 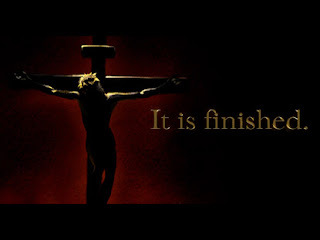 19:30 So when Jesus had received the sour wine, He said, “It is finished!” And bowing His head, He gave up His spirit. I used to teach Bible for grades 11 and 12 at Sandy Lake Academy. One of the things I loved about it was that not all my students were Seventh-day Adventists meaning their Biblical understanding was not always the same as "ours". Some people prefer to surround themselves with people of similar or identical views. A good friend of mind had a saying I loved. He said "Show me two people who agree on everything and think the same and I'll show you at least one person who isn't thinking at all." I highly recommend exposing yourself on a regular basis to view points that are very different from your own. Your mind will never develop if your ideas are never challenged. In my class I had one student who was priceless because he had two traits that created great discussion. One was that he wasn't an Adventist and the second was that he was not shy to speak his mind. 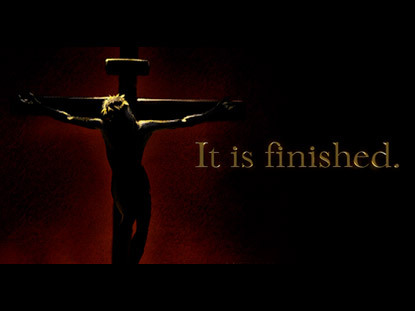 One day we came across this statement Jesus made just before He died: "It Is Finished". I made the statement to the class that this statement is not to be taken literally and that indeed it is not finished. My outspoken student, (we'll call him Joe) objected. 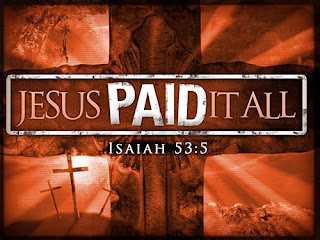 He insisted that indeed it was finished - that Jesus completed everything at the cross. Loving his enthusiasm I said "Ok Joe, if that's true, how do you explain Revelation 21:6? Do you believe this passage in Revelation refers to a future time? Start reading in verse 1 to get the context and read through to verse 7." 6 And He said to me, “It is done! (finished) I am the Alpha and the Omega, the Beginning and the End. I will give of the fountain of the water of life freely to him who thirsts. 7 He who overcomes shall inherit all things, and I will be his God and he shall be My son." To his great credit he didn't argue his position further. Instead he asked "What did Jesus mean then?" So I asked him another question: "Joe how critical is the resurrection of Jesus to our hope as Christians of life eternal spent with God?" Joe answered what I knew he would because he knew the Bible. "It is absolutely necessary. 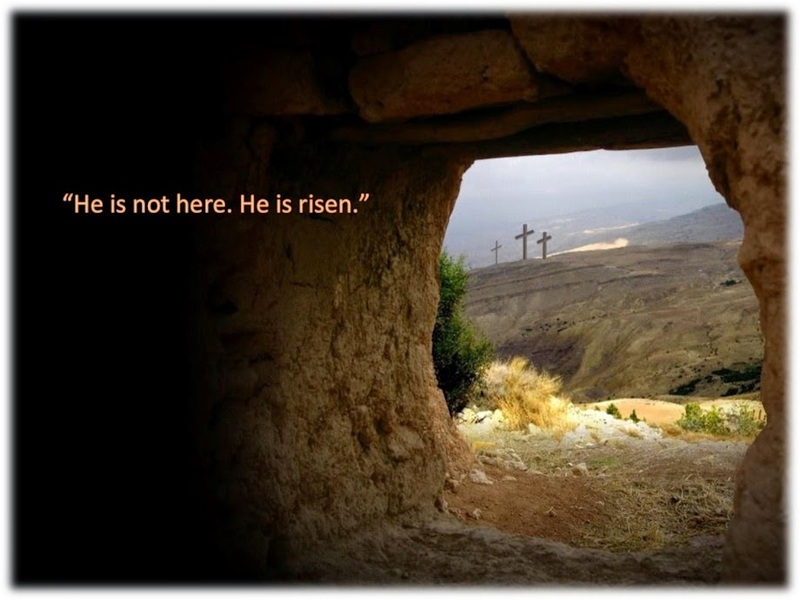 Paul said without Christ's resurrection there is no hope for us." "Joe has Jesus resurrected yet in John 19?" "Joe did Jesus say everything was finished?" It was a profound moment in the classroom that day as we realized together that we often see things a certain way because we've been taught to see it that way. Much of the Christian world believes everything was finished at the cross but Revelation disagrees, the news feed disagrees, the ICU disagrees and indeed the mission of Jesus Himself disagrees. His greatest act was walking out of the tomb alive and that hadn't even happened yet. Jesus said "It is finished", but He never said "everything is finished" so what was He referring to? Recently I made a gift for my wife. Step one was to figure out what I was going to do and how I was going to do it. I did that. When it was finished I gathered the materials necessary to complete the task. When that was finished I sketched out the pieces I wanted. When that was finished I cut all the pieces out. When that was finished I sanded each piece to remove imperfections and prep for paint. When that was finished I painted each piece. Do you see how many times I was finished before I was ever finished? Jesus was a Man on a mission. He remains a Man on a mission and until we arrive at a change of condition and a change of state and a change of place He is not done. But He will be... you can count on that!!! John Day 222 - Sour Wine? 19:28 After this, Jesus, knowing that all things were now accomplished, that the Scripture might be fulfilled, said, “I thirst!” 29 Now a vessel full of sour wine was sitting there; and they filled a sponge with sour wine, put it on hyssop, and put it to His mouth. 30 So when Jesus had received the sour wine, He said, “It is finished!” And bowing His head, He gave up His spirit. After coming face to face with the reality of what he had done David cried out to God "Wash me with hyssop and I will be clean". David had stolen the wife of a loyal soldier and then had him killed to cover up what he had done. Hyssop is a bush like plant that grows in northern Africa, parts of Asia and parts of the middle east. Why did David want to be cleansed with hyssop? What did he think that would do? David wasn't really referring to hyssop at all. He was referring to the Passover. When the last plague was about to fall on Egypt centuries before God had given instructions to take the blood of a lamb and use a branch of hyssop to smear the blood on the door frames of their homes. Any home marked with blood would be spared from the plague. David had sinned and the wages of sin is death. He wanted to be spared. He wanted death to 'Passover' him. Now here is Jesus, the Lamb of God who takes away the sin of the whole world dying. His blood is being shed. It is available to the whole world. There was but one symbolic act left. Jesus said "I thirst". We with our literal thinking assume He wants a drink. So did those standing by who heard Him. In response they take a sponge attached to a branch of hyssop and soak it in wine so He can have a drink. The Scriptures do not say He drank the wine, in fact Matthew says He refused it. John says as soon as He had received the sponge He declared "It Is Finished" and He died. Clearly this was not about physical thirst. What was it then? What was Jesus doing? Why does John say that this was done so the Scriptures might be fulfilled? What do you think happened to the sponge on the hyssop branch when it touched Jesus bloodied face? What do you think Jesus was thirsting for? 19:25 Now there stood by the cross of Jesus His mother, and His mother’s sister, Mary the wife of Clopas, and Mary Magdalene. 26 When Jesus therefore saw His mother, and the disciple whom He loved standing by, He said to His mother, “Woman, behold your son!” 27 Then He said to the disciple, “Behold your mother!” And from that hour that disciple took her to his own home. It is no secret that the cultures of the Bible were for the most part dominated by men. There were a few rare moments when a woman stepped out of the shadows but they were largely seen as and treated as the property of men. Then along came Jesus. Remember Jesus' radical statement "If you have seen Me, you have seen God." With that point of reference then, God's view of women is not to be determined by how His followers treated women but rather by how Jesus treated them. Here He is dying and three women are right there, all acknowledged and mentioned by name. In fact if you carefully comb through the gospel accounts of Matthew, Mark, Luke, and John you will find women following Jesus, women healed by Jesus, women respected by Jesus, and even women touching Jesus. To understand how radical that all was you gave to understand the culture of the time. When genealogies are recorded it was always a list of fathers and sons. When Jesus was born it was the first time in Biblical history that women were mentioned in a genealogy. His unusual treatment of women continued through His adult life. In the culture women were essentially property owned by their fathers and then sold to their husbands. They had no right to own anything. They had no voice. It wasn't supposed to be that way. God created Adam and Eve as equals. It was because Eve sinned first that God declared one of the consequences would be that women and men would see women as less. Even in what we consider the civilized West women have only been able to vote for about 100 years. In Quebec women weren't able to vote until 1941. It is imperative to understand that at the time of Jesus women were nameless, faceless people who existed to make babies and serve men. But Jesus saw them. He talked to them. He knew their names. He allowed Himself to be touched by them, even sick "unclean" ones or women of low or no reputation morally. He risked His own reputation to show God’s love and concern for them. Now here on the cross about to die John says His final act was to look down and ensure his mother would be cared for. It seems a small thing to us but it was not. How many times does God chastise His people all through Scripture for ignoring the needs of the widows. These women were the most vulnerable in society. Used property. No one wanted them and they had no means legally to support themselves no matter how skilled they were. The church had even created a law making it religiously acceptable for children to ignore their aging parents needs. All they had to do was promise their cash to the church at death and this freed them from any financial responsibility to their parents. Jesus knew He was leaving and would not be here to care for His mother so in an act of love and as an example to us all He saved His last act of compassion for His mother. He didn't just give her money either. He gave her a person to care for for her because we need human love as much as we need food and water and air. Jesus. If you have seen Him you have seen God. No matter how forgotten you may feel He knows you. He knows your name. Every part of His story has meaning. Every sometimes seemingly bizarre detail is recorded for a reason. One day Jesus told the crowds a story about a great wedding feast being hosted by a king for His Son. Invitations were sent out to everyone. Not a person was missed. With the invitation was supplied clothing for the banquet. It was a beautiful gesture. This way no one had to feel under dressed or that their clothes were inadequate. The poor could come without shame or embarassment. The rich could come without fearing they had chosen the wrong outfit. The king wanted everyone to come and all to be perfect. The clothing in the story does not represent clothing at all. It represents the perfect gracious merciful loving character of God. It is this we lack. Rich or poor none of can match His flawless perfection. For heaven to remain heaven and for the universe to be restored to the harmonious place it once was His heart must beat in our chest and His thoughts must become our thoughts. It is staggering to think Jesus wants us all to come. Who is included in this "all"? His underwear, politely called a tunic, what about that? It was so perfect they didn't want to divide it. They left it as it was and cast lots for it. See the inner Man, that's where Jesus was flawless. Isaiah wrote that there was nothing about His outward appearance that would draw us to Him yet He sure drew crowds. Why? Because underneath His outward appearance He was flawless. Every class of men and sinners of every stripe searched for Him. Prostitutes and tax collectors ate with Him. Jesus was so perfect on the inside that nothing we did to Him on the outside could change that. The mercy was endless and not one root of bitterness to be found. Jesus. Perfect. Untouchable and unalterable inner beauty with so much radiating outward that it can cover us all, even the four pagan soldiers that nailed Him to a cross. 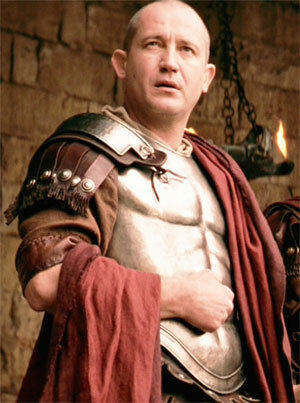 Pilate - his name means "armed with a dart". How fitting. Fitting because he was the only one with the authority to sentence Jesus to death. The dart was in his hand. However it's fitting in another sense also. Pilate knew Jesus was innocent and more than that he knew Jesus was no ordinary man. Ever the politician Pilate was trying to play both sides. 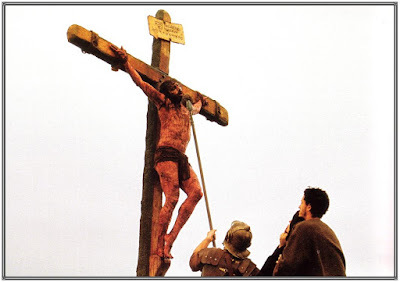 He felt he must crucify Jesus because not doing so would be too risky for his career. I mean what if Jesus started a revolt like the one when Moses overthrew the entire Egyptian army? What if it was discovered that Pilate had had the opportunity to stop Him and didn't take it? Too risky indeed. However none of the negated the fact Pilate was deeply impressed by Jesus and knew He was being betrayed and unfairly treated by His own people. For this reason Pilate saved his last dart to throw right back at the Jews. Jerusalem was at the hub of the world at the time. The narrow strip of land between the sea and the Jordan river was the main trade route for all goods travelling north and south. Typically a crucified person was on a cross for about 7 days and to enter the city you had to pass by the crucifixion site. Crucifixion was never just about killing criminals. It was a long drawn out torturous process designed as advertising for would be criminals to think twice before betraying the Roman Empire. 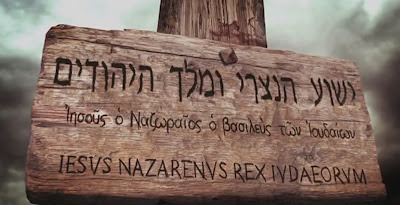 Pilate seized on this advertising opportunity to put a billboard on Jesus' cross in the three main languages of the world. Every person passing by would see it and be able to read it. The sign horrified the Jews. They demanded it be altered but Pilate firmly refused: "What I have written I have written." Here's the sad reality - to try and play both sides is ultimately a dart through your own soul. You can't live to please the devil and to support the cause of Christ. "No man can serve two masters" said Jesus. We hate it when people play emotional or mind games with us. We hate it when someone is one person to our face and another person behind our backs. It can be so tempting to look for a way to please everyone. Some will even applaud us for it. However tell me this: who was happy with Pilate when the day was done? Was Jesus? Were the chief priests? Lesson: Don't plan your moves based on how you think it may best play out. Life is not a game. Take your dart and aim it against evil and lies and corruption. Stand for the cause of truth and justice. Have nothing to do with consequences. Jesus said it best that day without saying anything. "It's better to die for the right cause than to live for the wrong one." Approximately 32 years previous to this moment a large caravan of people on camels arrived from "the east" in Jerusalem. They came from Midian and Sheba and Ephah. They went straight to the palace of Herod the Great. They asked him a simple question that shook him to his core. "Where is He who is born King of the Jews? We have seen His star in the east and have come to worship Him." John introduced Jesus not as a baby in Bethlehem. He looked back much further. Back beyond the first human being. "In the beginning was the Word... by Him all things were made... He became flesh and dwelt among us and we beheld His glory..."
King of the Universe, to King in a cradle, to King on a cross. Even self-obsessed pagan Pilate recognized Him for who He was. He just didn't have the courage or character to do anything about it. When He was born gifts were brought to Him. When He died He unleashed the greatest gift humanity has ever received - Love in action, the heart of God on full display, Truth over lies and freedom finally to see Him as He is. It all started with a baby born to poor parents and placed in a feed trough. It ended with a message written in every common language on a hill at the crossroads of the world. King. He's your King too. 19:17 And He, bearing His cross, went out to a place called the Place of a Skull, which is called in Hebrew, Golgotha, 18 where they crucified Him, and two others with Him, one on either side, and Jesus in the center. Jesus said if we want to follow Him we must take up our cross. This was His cross. As horrific as it is, it was His gift to us. Wrapped up in this singular act is the answer to every significant question about God we could ever ask. Here in these moments the heart of God is expressed more eloquently than anywhere else. Who captured Him? No one. Who betrayed Him? We all did yet no one did. Jesus is not here because of us yet He is on that cross because of all of us. In other words we did not kill Him, He gave His life. All the kings horses and all the kings men could not have stopped Him from taking that painful lonely journey. It was His plan all along. He is the Lamb slain from the foundation of the world. For many this is a happy time of year. For many others it is an extremely lonely time of year. Loneliness carries many faces. There is the loneliness of being by yourself. There is the loneliness of being surrounded by people yet still feeling isolated. There is the loneliness of being misunderstood and finally the loneliness of passing through an experience no one around you can relate to. 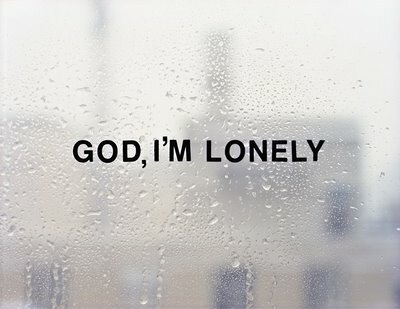 If anyone understands the different kinds of loneliness we experience it is Jesus. In the Garden He was left completely alone. Often He found Himself alone in the crowds. Alone because He fully understood His identity and His mission but even those closest to Him did not. His decisions were often second guessed and even ridiculed because they didn't understand Him. For years He worked pressed by the crowds and always with His disciples yet alone. Now at this most excruciatingly difficult step in His journey to express the heart of God He is more lonely than He has ever been. When I went for surgery to have a cancerous tumor removed from my bladder my wife Tracey came with me. She loved me. She was supporting me. She came as far as she was permitted to but eventually she had to stop and I had to journey on alone. Jesus had company. One on His right and one on His left with a crowd gathered below yet never had He been so alone. If you feel isolated, alone even in a crowd, misunderstood, or are going through something no one around you can really understand remember that Jesus does. He even understands the worst loneliness of all - the loneliness of betrayal. But guess what. The cross stands as a witness that we often betray one another and Him but He will never betray us because He is love and love never does that. The truth is He went to the cross alone and because of what He has done we never have to be completely alone - never. John Day 216 - Evil Jews Right? There are some things we don't like to think about. I'm sure moderate Muslims don't like to think about ISIS being a part of or connected to their faith. Roman Catholics probably don't like to think about some of their history in Europe that lead to the reformation either or their most recent scandal that's currently being highlighted in the movie theatre. The truth is none of us want to be affiliated with the darkest sides of our nature. When we trace our genealogy we like to find famous ancestors, not infamous ones. The truth is always messier than that though. Dark stories lurk everywhere and religion is no exception. The reality is that some of the darkest events in human history were perpetrated by the religious. We all understand and accept that every barrel can have a bad apple or two, it is inevitable really. Germany had Hitler. France had Napoleon, Russia had Stahlin and religion has had it's fair share of forgettable villains as well starting with Cain way back in Genesis 4. There we find him being as religiously pious as can be right before slitting his brother's throat. However there is a great difference between a bad apple and a corrupt system rotten from the top down. The Jewish religion at the time of Jesus is exhibit A of such a phenomenon. 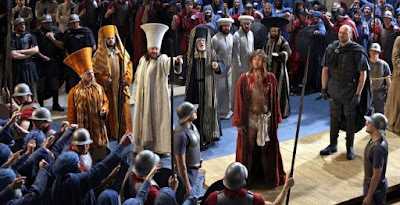 I remember well when Mel Gibson was releasing his film "Passion of the Christ" that the media was concerned who in the movie would be cast as the villains for killing Jesus. Would it be Rome or the Jews? No matter how you interpret the film the Bible leaves no doubt. It was the church leadership at the highest level that had Him arrested. It was them that leveled the accusations, took Him to Pilate and then assured a guilty verdict by publicly confessing absolute loyalty to Caesar. Politics and culture are complicated animals. It's easy to read about them but difficult to understand the weight of the story if you aren't part of the story. I can read about the Syrian civil war but I don't understand it. I read about the Hutus and Tutsis but I couldn't understand. I have heard lots of people speak about Quebec and it's position in Canada but having grown up there as an anglophone with many beautiful francophone friends I knew they didn't understand either. Part of the problem when we read the Bible is that we have our own goals and agendas and biases and we forget that the story we are reading is about real people living real lives in a culture and time far removed from ours. To truly understand we must do our best to understand them before we can hope to understand what their story means for us. At the time of Jesus the Jews were a somewhat independent nation inside the Roman Empire and ultimately under their authority. Judaism was both a nation and a religion, a concept foreign to us in the West where we strive to keep religion and government separate. Right from the start that puts us at a disadvantage when trying to grasp their culture and circumstances. What it means is that the Chief priests spoken of in our verses today are running both the church and the state. There is, practically speaking, no difference between the two. The laws of the church are the laws of the nation. It would be like being arrested in Canada and dragged before a council because you weren't dressed right according to religious law. Now the Jews hated being under Roman rule because it meant ultimately they weren't free. It was humiliating to have to get permission from what they considered a pagan gentile nation to do what they felt it was their right to do. In their minds they should be running the world. In their deepest hopes and dreams their Messiah would come and achieve this end through whatever means necessary. Then Jesus showed up and His ways and plans and motives did not fit the bill. Fast forward to Pilate's court and these same chief priests are confessing full unreserved loyalty to Caesar as their one and only king. Quite a turn of events! Or is it? Chameleons are animals that change colour to blend into whatever foliage or surroundings they find themselves in for the purpose of survival. 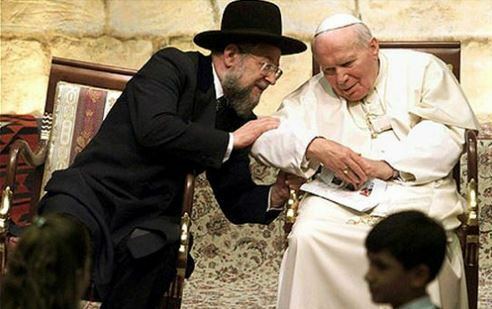 The Jewish leaders were chameleons and their only loyalty was to their own survival and advancement. Despite the external differences they and Pilate were one and the same - chameleons. What about us? What are we? Do we lie, change our stories, or simply say nothing in order to preserve our position, image, reputation etc..? Religion is not evil, men are evil. Darkness exists in every organization. No religion or culture is exempt from its murderous influences. Jesus was a Jew. So was John. So we're Mary and Joseph and Lazarus and so many other beautiful people. Eradicating any religion or culture will not eliminate the darkness but no darkness will overcome the Light either. Even though it's technically the wrong time of the year, this is the time when traditionally remember and celebrate the birth of Jesus in Bethlehem over 2000 years ago. Jesus later said that the religious people of His day celebrated the great prophets of the past as well. Jesus went on to say that those prophets were rejected and many of them killed by their ancestors and they would have done the same had they been alive at the time. We tend to celebrate the past because it's removed from us. It's safe. It's not "in our face". Jesus used Himself as evidence for the fact that they would have killed the prophets because they were rejecting Him. We can sit here comfortably separated by 2000 years from the horrible events we're reading about and we can sing 'Joy to the World' and 'O Come All Ye Faithful' but would it bring joy to our world if Jesus were here now? If He sang 'O Come All Yes Faithful' in our town would we come? When Jesus was born there is little evidence anyone paid much attention. Some shepherds came because angels told them to. Some travelers from distant eastern lands came nearly two years later. Tradition calls them the three wise men but the truth is there were many more than three. A careful study even reveals who they were and where they came from. It's quite remarkable how far they traveled to find Him but what's more remarkable is what they found when they arrived. They literally risked their lives making the journey and when they arrived they did the politically polite and proper thing and went to the highest authority in the land to introduce themselves and explain their mission. "We have come in search of Him who is born king of the Jews. We have seen His star in the east and we have come to worship Him" they said to Herod who was the acting king at the time placed in that position by the ruling Romans. Herod was perplexed. He knew nothing. Keep in mind Jesus is nearly two years old and living only a few miles away. Herod sent for the Jewish scholars. They came. They opened the Old Testament scrolls and through the clues written in various places by the prophets told these travel weary King seekers that they would find Him in Bethlehem. Herod told them to make a careful search for the boy and then let him know where He was so that "He might worship Him too." The bizarre part is why all the secrecy. Could angels really have visited shepherds and no one knew? Could a mysterious star that didn't belong in the night sky have gone unnoticed by those living so close? Could the very nation who was expecting the arrival of their own Messiah be so completely oblivious? I'm a pastor and I can tell you news travels fast in a congregation and sometimes the pastor is the last to know. Something is happening here beyond what we're seeing on the surface. Herod did not know but you can be sure everyone else did. Herod was the king. Jesus was The King. Herod was ruthless, and insecure. We know from historians that he killed his own sons to preserve his power and position. That is the reason why no one told him about the baby in Bethlehem that just might be the One. Fast forward 33 years and now the same Jesus who escaped the murderous hands of Herod has also escaped the power of Pilate... almost. Pilate wanted to let Him go. Pilate intended to let Him go. Pilate tried to let Him go. What prevented him? Politics is a convenient scape goat term we use to cover the real truth. What prevented Pilate from doing what he knew was right was self preservation. The same motive that drove Herod to kill all the baby boys in Bethlehem. The same motive that drove the Jewish leadership of the past ages to kill the prophets. The same motive that pulled the words from the mouths of the chief priests "We have no king but Caesar". The question is what drives our decision making? Jesus said "Anyone who seeks to save his life will lose it but anyone who loses his life for My sake will find it." Are we like our God or like the father of lies? Do we do what we know is right or do we play politics? It's clear Pilate is stalling. He seems to he hoping that time may work in his favour, that the fury or the crowd will subside and reason will return. Sometimes that happens. It's noon now. This ordeal has been going on at the Praetorium for about six hours now. Most of that six hours has seen Pilate going in and out, trying to figure out a way to extract himself from this ordeal without costing himself any political points. Now fully convinced that Jesus is innocent, is no ordinary man, and needs to be set free he waits. Again he presents Jesus as their King, a curious move at this point. The crowd only has two optional responses to such a claim. They either must accept Him as king or see this through for treason and insurrection. What would Pilate have done had they embraced Him as their King? Political suicide to be sure. Was he hoping by calling Him their king that they would think twice before killing Him? They don't. Their furor grows until they blurt out something that I'm sure even they couldn't believe they said. "We have no king but Caesar!" That would be like Moses saying he had no king but Pharaoh and Daniel saying he had no king but Nebuchadnezzar. These are the supposed children of Abraham. These are the ones who claim to be waiting for the Messiah, the successor to David who will reign over them in glory. Now they have no king but pagan Caesar?!!! Once any person commits to a path contrary to their conscience even that person will be shocked at where that road ends. How many people have said "I never thought I'd ever _______". Yesterday as the news alert came to my phone that a young mother in her 20's with a 3 year old in the car with her, apparently drunk or high or both, drove down the sidewalk of the Las Vegas Strip hitting at least 37 pedestrians and killing one my mind began to spin. Faces flashed through it of young women I know who I pray never end up in such a scenario. That young woman was 3 years old once too. She may have been the daughter of drug dealers or of a preacher. Her story will likely come out. Either way even she no matter her roots would never have guessed she'd be driving over pedestrians one day with her own little girl in the back seat. No one dreams of such epic collapse. No one plans to fail so miserably. Journeys like these begin with one denial of conscience followed by another and yet another. Jesus is the Light that lights every human being that has ever come into the world. To every mind He whispers "This is the Way. Go this Way." Pilate didn't know much about religion but he knew Jesus was a King. The Jews knew it too. The problem was they had all committed long before this moment to a path away from His Voice. A path of selfishness. A path of getting. A path of living for the moment. A path of increasing darkness. A path so utterly devastating that's it's final end is shocking even for the one who blazed the trail. The song says "I did it my way." I want my headstone to read "He did life His way." The question is "Are the choices I am making today creating a path toward Him or away from Him?" God is love and love is freedom - Freedom to choose. This conversation is depressing on so many levels. In it two groups of people are represented. The Jews represent those who are following God and living for a greater purpose and higher destiny than this short life. Pilate represents those fully invested in this life, in the here and now because they honestly believe that is all there is. The Jews represent those who are supposed to bring the truth that there is so much more to people like Pilate. They are supposed to be the bearers of good news to people lost in meaninglessness. Instead they have come to Pilate with the Good News in their possession asking him to kill Him. Pilate truly believes he occupies a position of power. He truly believes Jesus' life is in his hands. He tries to reason with Jesus and help Him understand the predicament He is in. It's like Pilate doesn't think Jesus gets it. Because Pilate is genuinely confused about this point Jesus speaks again. What He says is profound, shakes Pilate to his core and is ultimately depressing. He explains to Pilate that any power he has is borrowed or given. It's like me allowing my children to make a decision about our family. They may be given the power to choose a restaurant destination or a vacation plan but the power is not inherently theirs, it was given. The Bible says and prophetic history has shown that God raises up kings and deposes them. Pilate is where he is and able to wield power only as much and as far and for as long as God permits. Jesus doesn't stop though by clarifying that Pilate's power is given from above. He goes one step further. He clarifies that the greater guilt is on the one who handed Him over to Pilate. Well who was that? Caiaphas handed Him over to Pilate. Who was Caiaphas? The Jewish High Priest. Pilate gets it. He sees in Jesus One who is above and beyond any ordinary man. He knows what he must do. He must release Him. Only one obstacle stands between Pilate and doing the right thing. Upon hearing his intentions the Jews play their trump card. "Pilate you can't release Him without making yourself an enemy of Caesar." Pilate has invested his entire career and life into pleasing Caesar as his ticket to increased power and success. He has a stark choice to make - Jesus or Caesar. A new path or sticking in the deep rut he has been in all his life. Faith or fortune. Forever or right now. The most depressing part is not the choice Pilate is about to make. The most depressing part of this whole mess is that the very ones who should have been leading Pilate from his lucrative but ultimately short and meaningless path are the very ones who seize upon his weakness to push him down the wrong road. The Jews aren't working for God's cause at all. They are the sons of their father the devil who was a liar and murderer from the beginning. The greater guilt is on Caiaphas because he didn't just send Jesus to His death but Pilate as well. Lesson: religious or secular, avowed believer or atheist, priest or politician - whose team am I on really and what influence am I having on those around me? John Day 208 - Don't Miss This! John Day 202 - A Witness of What? John Day 196 - Peter How Could You?